We don’t see ourselves as a printing company. We see ourselves as a solutions company. Our employees, clients, and community make up our family. The people with whom we partner and the individuals who run our company make us who we are: a member of the community we live and work in. Without those who support us we wouldn’t be able to do the great work that we do. Thank you for being such a big part of our continued success. We strive to continually improve and meet or exceed expectations. Our quality system has been built with flexibility in mind. We have procedures in place for the needs of today and the ability to expand our system for ever changing partner requirements. Don’t take our word for it. Take our customers’. 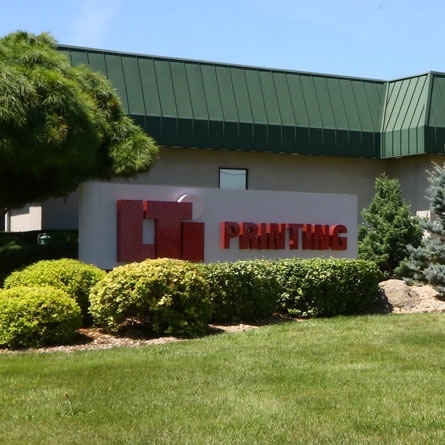 LTi Printing has received multiple awards for Overall Excellence as a Supplier, and Consistent Commitment to Community. "Certified Supplier and a Partner in Excellence"
Just some of the ways we give back. Global scope with a true sense of community. LTi has been family owned for over 30 years and the second generation is pushing into the future with outstanding innovation and service. We know it’s important to lend a helping hand, to work as a team, to understand that when we stand together we are stronger than we could ever be standing alone. Great work is done by a great group of people, not an individual. We are proudly located in Sturgis, Michigan, a city with a population of approximately 11,000. Many of our employees freely give of their time to volunteer within our community. We understand that when we all contribute, everyone benefits.